The incense of ukhour wafts along the hallway welcoming visitors. It is customary for any new arrival to greet the oldest members of the family first. A kiss on the grandparent’s forehead is an expression of respect. The earlier they arrive, the more likely they are to obtain blessings from them. Otherwise, they must have a good reason for being late. Fridays are sacred in Kuwait not only for the noon Friday prayer at mosques, but also because it is the main day for family gatherings. 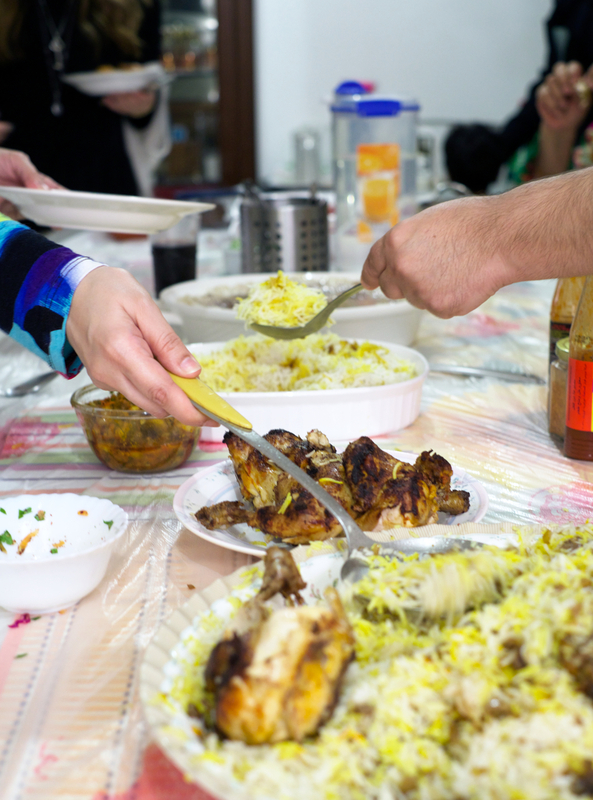 During this day, on what is called Zwara Al-Jumaa, most Kuwaiti families gather for lunch, dinner or even just tea. The Friday family gatherings are important for social cohesion. Most Kuwaitis understand that as a group they make up only one-third of the demographics of the country. Therefore, there must be a way to maintain the cohesion of the community members as a whole. They do it by socializing with each other through the Diwaniya (the place where men from a neighborhood or clan gather to discuss local issues daily) and through weekly family visits. The Friday gatherings are Kuwaitis’ proof of tribal and family belonging which helps them in various matters. Friday Gatherings make wasta (favor) easier. Family members that mix frequently on Fridays feel more comfortable to ask for help when they are stuck at work, have money issues or other personal problems. In addition, most businesses in Kuwait are family businesses. Those gatherings are like a constant reminder that strong family ties are more important than business relations and they are fundamental to their success. Those family ties serve as a protector of the individual who presents loyalties on a weekly basis dedicating his time, money and food for the kinfolk. 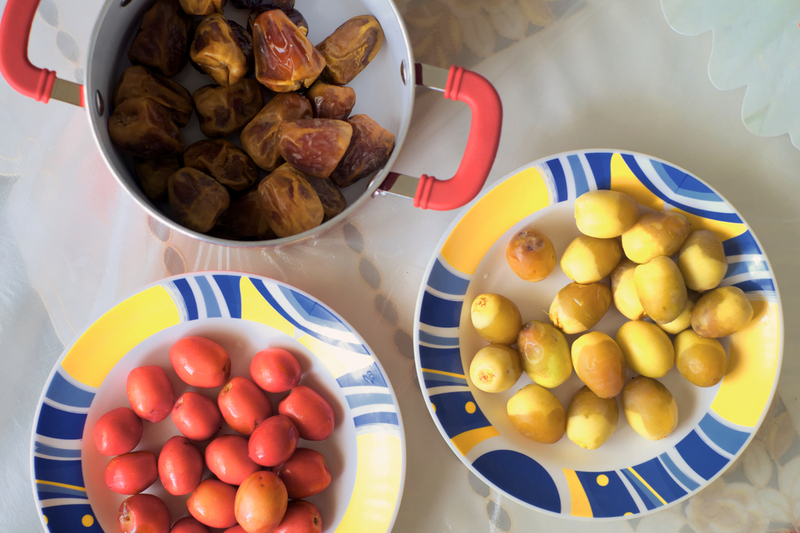 In the Zwara Al-Jumaa, food is also a critical element. The food prepared for this feast is similar among Kuwaitis and the best known are machboos (rice with chicken or lamb), gabbou (chicken or lamb broth with dumplings), harees (mushy pearl barley with chicken or meat stock), mahshi (stuffed vegetables), waraq anab (stuffed vine leaves), grilled fish and so on. These dishes are served with some condiments such as red hot chili sauce, chutneys, tahini and dates. 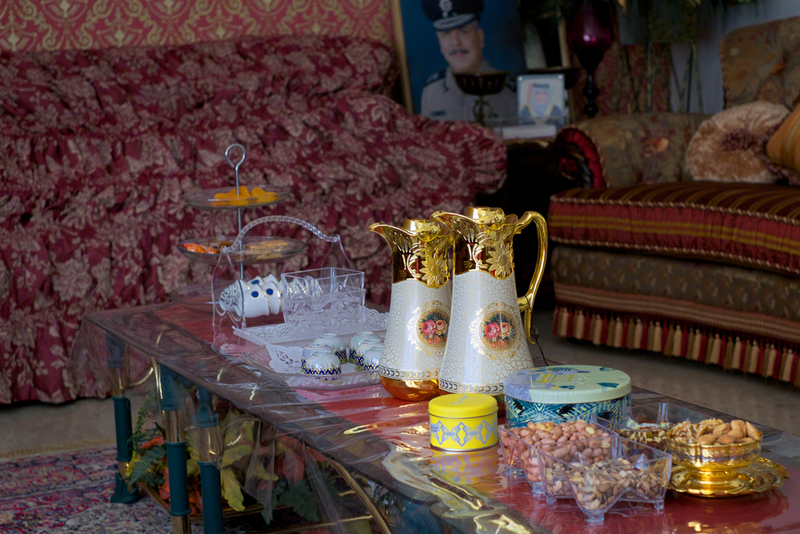 And with tea, mixed nuts and sweets of all types are served. It’s the axis of this ritual. The abundance and the variety of food are the symbolic meaning of generosity and the host’s desire for you to prolong the duration of the visit. Women are often involved in bringing sweets, whether prepared at home or purchased at a store. Often, family members do not leave the Zwara without any extra food to take back home with them or just a small water bottle. Zwara Al-Jumaa is usually hosted by the parents or the eldest sibling of a family. There are many things about Friday gatherings that are important. First, they are typically only for first- and sometimes second-degree family members. Children should be involved and often have lots of free time to play and get to know their cousins. This tradition didn’t exist when Kuwaiti families used to be together in one place. Before oil and the subsequent wealth began to change the social fabric of Kuwait, sons remained in their parents’ home with their wives and children. All the women were involved in food preparation and in serving their husband’s family. At that time, there was no material prosperity or food abundance. Hens were reared for their eggs and only slaughtered for exceptional occasions. Life was simpler then. But with economic prosperity, came changes in the family structure. Sons built homes of their own and families began to gather on Fridays to reconnect. The tradition has gradually grown with the economic boom, but it’s maintaining its debut as the core of the Kuwaiti family solidarity. Of course, all are involved whether to bring food or to help with preparation. And the larger families require a larger number of house helpers. 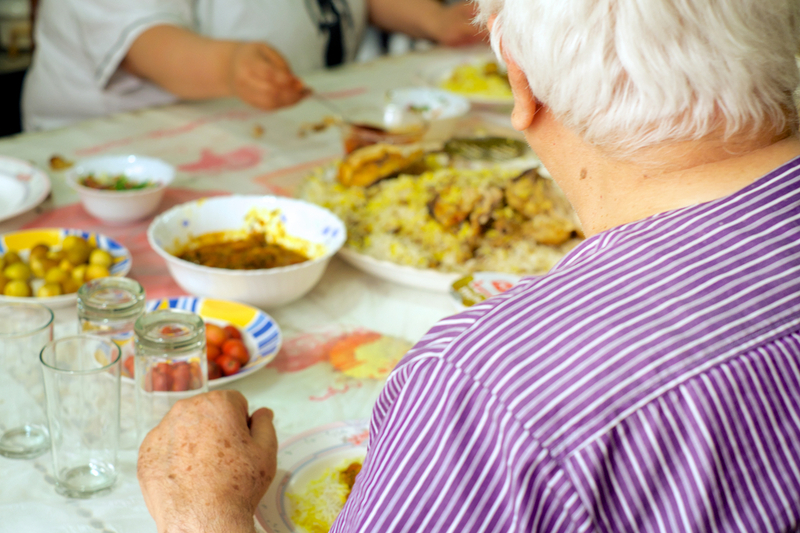 All across Kuwait, on Fridays, families come together to share food and talk. Even so, the rituals vary from one gathering to another. Some families maintain gender separation throughout the gathering, others are completely mixed. Abdullah, a director for an oil sector, mentioned that men and women are typically separated during the gathering which lasts from lunch until dinner time. “At our grandfather’s house, we organize outdoor activities for our children, and we install swimming basins and bouncy castles,” he said. On the contrary, for Falah, an executive director, said, “Our gathering is mixed and very modest. Relatives come for the tea time. The ladies remain wearing their hijab. Meanwhile, the kids have their own space. The grownups have their own lounge to enjoy conversations in a quiet atmosphere.” In some families, they have a women’s only Zwara where men are not allowed. This permits women who are covered to remove their hijabs and be more relaxed. Along with the physical separation, there is also a difference in experience. Men tend to enjoy the gatherings more as a relaxing family time; but women, often, are more stressed especially those who host the gathering due to the amount of work involved, as well as the tensions caused by stress, family disagreements and concerns that they will be harshly judged for their clothing, appearance, demeanor and parenting. Manal commented that it is expected to expend money on this event that also takes effort and time for both the hosts and the guests and added, “In fact, another disadvantage is gossiping!” Nearly all of those interviewed have agreed that gossiping among the women, children fights and interference with personal lives are the worst part of the Friday gathering. But, after all, the advantages outweigh the disadvantages. Zwara Al-Jumaa has evolved into an expensive, elaborate ritual. Oftentimes, hosts will feel pressured to order lavish buffets from restaurants and may often even hire extra help to serve or valets to park visitors’ cars. While that may not be the norm, it has become more common in recent years. “You are expected to spend money on the event,” explained Manal. Demonstration of hospitality is legendary in the Arab world and an absolute. It’s unheard of to go to a home and not be offered tea, coffee, water, food and so on. For someone to host a Friday gathering and not take care of guests would be perceived as an insult. Social media has added another layer of stress to the Friday gatherings. You seldom see photos or videos of Friday gatherings which is a surprise considering how social media - especially Instagram and Snapchat - have permeated every other aspect of Kuwaitis’ social life. Families don’t want to depict what’s happening in their Zwara to their other relatives and friends, though they do not necessarily worry about strangers. They avoid judgmental opinions from their distant relatives. Photos of Zwara may be a gateway for gossip and jealousy. Another reason is many Kuwaitis from different educational levels are superstitious. They fear evil eyes. They protect themselves from envious people. Some even fear that the images are used for black magic to disperse them of their beloved ones. The contradiction is simply complicated, because, as noted, many of them have no problem posting their personal photos in other places. Despite all the pressure, many view Friday gatherings as incredibly beneficial. It helps reinforce and strengthen family bonds, developing ties between generations and sharing a common viewpoint. Zwara Al-Jumaa will continue for generations. Yet, it may break off because of space limitation, financial inability and busyness. Perhaps that will turn it simple, as in the old days. And perhaps, the future Kuwaiti generation would Skype or FaceTime their Zwara from home!